Why this hotel? Convenient location. Modern. Popular choice. Free WiFi. 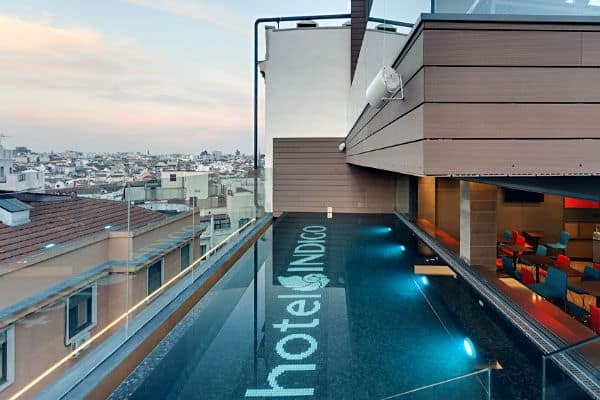 Located in the heart of Madrid, Hotel Indigo is right next to the famous Gran Via street and within 10 minutes from the Chueca gay village. 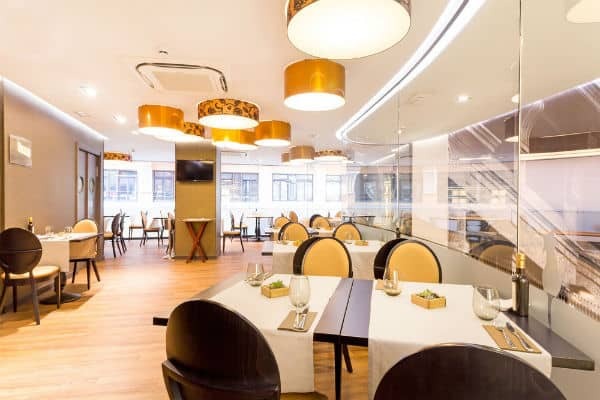 This modern hotel features a fabulous rooftop terrace with skyline views, outdoor pool, restaurant & bar. 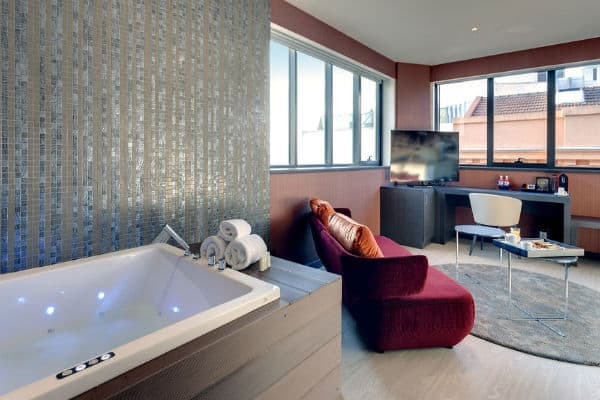 Each stylish room has free WiFi, 40″ LCD TV, air conditioning, Nespresso coffee, rain shower. 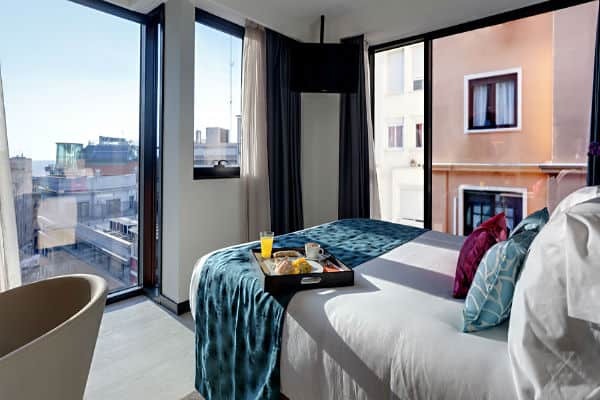 The vibrant Puerta del Sol area is just a 5-minute walk away, with many shopping & dining options. 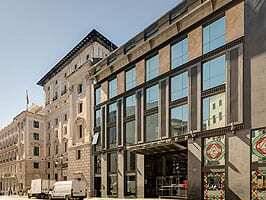 Other parts of Madrid can be reached quickly via the nearby Callao metro.